In our ongoing effort to answer reader inquiries, we find a lot of questions about why rubies are used in watch movements. Here, we explain what rubies inside a watch movement are all about. Essentially, rubies inside watch movements act as ball bearings and eliminate friction. Unless a new watch utilizes high-tech ceramic ball bearings in certain parts of a watch movement — mechanical movements utilize synthetic gemstones, predominantly rubies, as bearings instead of using metal bearings that need oiling. The synthetic gems — typically rubies, but sometimes sapphires — eliminate the need for oiling and significantly reduce friction and wear and tear on the movement parts, enhancing the life of the movement. Sometimes, those rubies are visible via a transparent sapphire caseback, or via a skeleton movement where so much of the metal is pared away to allow viewing of the superb mechanisms. Rubies inside watch movements act as ball bearings and eliminate friction. Rubies have other added benefits to watchmakers, as well. Because they can withstand temperature changes without any reaction (unlike metal bearings) they offer higher stability. Synthetic rubies are generally created using aluminum and chromium oxide that are heated, fused and crystalized. They are not as valuable as genuine rubies, making them more affordable to use. 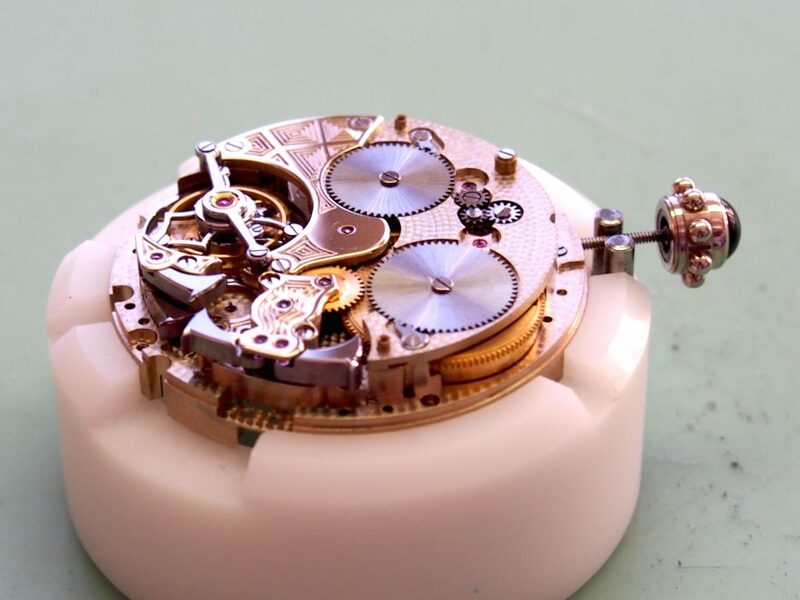 This is especially important because a watch can have anywhere from a few rubies to dozens inside the movement. Setting these minuscule jewels into their designated spots is no easy feat and watchmakers use microscopes and tweezers to accomplish the job. I had the opportunity to try placing rubies in a movement when visiting the Piaget factory. Let me assure you, it is not easy. In my experience the tiny, slippery stones, kept popping out of the tweezers! It was great fun but I knew I wasn’t cut out for that job. One of the nice things about using rubies — or, as some brands do– sapphires — in a watch movement is that when visible via a transparent caseback or a skeletonized movement, those rubies not only serve a practical purpose but also make the piece look beautiful.